Pressure cook toor daal and keep aside. Peel off skin of snake gourd and remove the seeds.cut into thin slices. 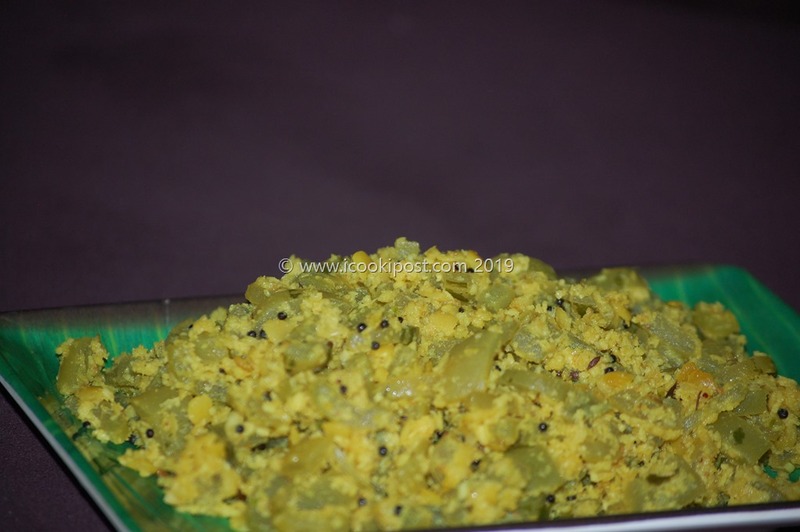 Grind grated coconut,green chilly,5 shallots,garlic,turmeric powder into a coarse paste. Heat oil in a pan.Once oil is hot,splutter mustard seeds and cumin seeds.once it is done,add curry leaves and saute it. Add 5 shallots(cut into round pieces) ,dry red chilly and saute well. Add coconut paste to it and mix well. Add snake gourd pieces ,salt and stir well. Cover and cook on medium flame till done. 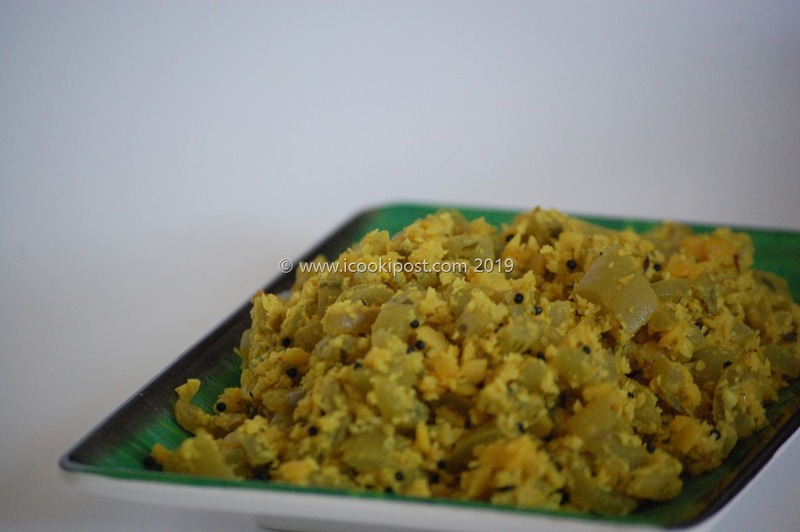 Once Snake gourd is cooked well,add cooked daal to it and mix well till dry.